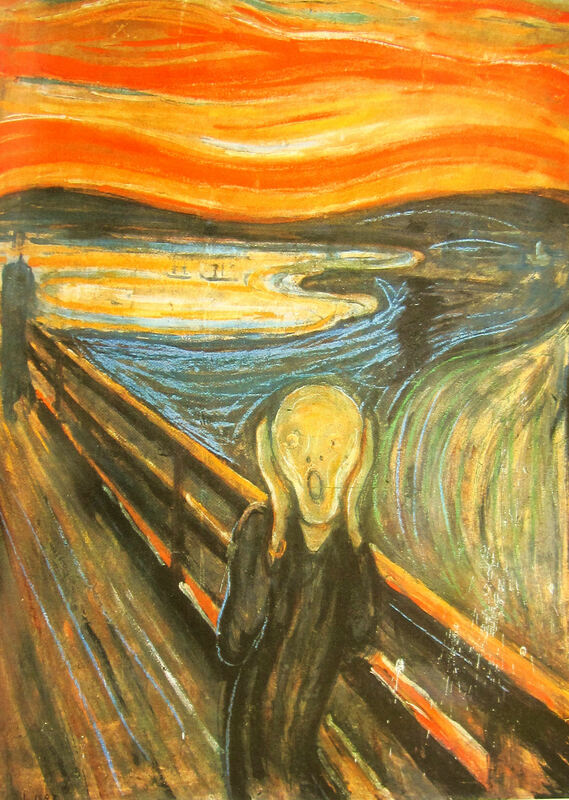 My May 2, 2012 post, The Angst of Edvard Munch, noted that The Scream sold for $119.9M US in a record art auction. No one knew who bought it – although that was the question on everyone’s mind. Good news! The mystery has been solved – first by the Wall Street Journal on July 6th and then retold in Huffington Post (my source for the latest news/gossip) and every other newspaper across the globe. Sotheby’s kept to the high road and made no comment as to the identity of the buyer. But the secret is out. The buyer is Leon Black, a 61-year-old, self-made billionaire. I’m more interested in knowing about the artist. Edvard Munch delivered an extraordinary glimpse into the soul of humanity. He lived bravely in the face of chronic anxiety, psychosomatic diseases and alcoholism. The world owes him a debt of gratitude that goes beyond monetary value.